in a mansion hotel in the heart of Mons. 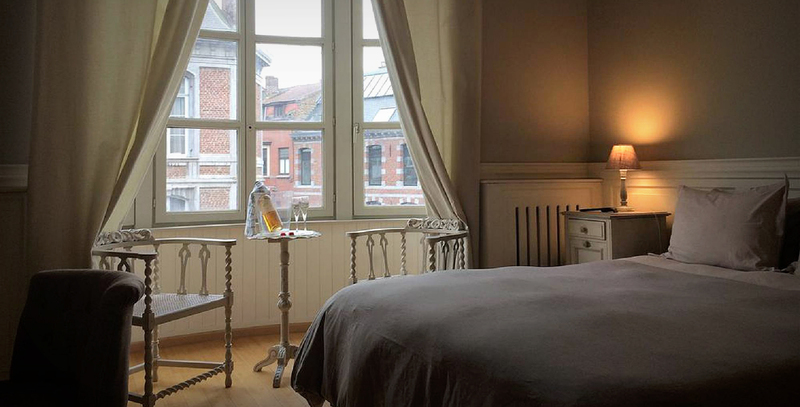 Set in the center of Mons, at 20 minutes from the famous Pairi Daiza Wildlife Park and 200 m from the Fine Arts Museum, the Appart Hotel Saint Georges features a sun terrace and a large garden. All accommodations are equipped with a flat screen cable TV, kitchen with microwave, fridge, cooking plates, coffee machine and kettle. Most of them do have a seating and/or dining area. The private bathrooms are provided with a hairdryer. High-speed WiFi Internet access is free. The University of Mons - Campus Nimy Plain is far from 600 m and the nearest airport, Charleroi, is 37 km away. Restaurant nearby. Belgian food "à la carte". and must be paid separately at the hotel. Pets are allowed on request (extra fee may apply). Public parking is available nearby (reservation is not possible). Cost is 5€ per day.